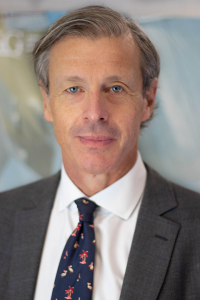 Mark Peeters is Chief Executive Officer, StartPoint Executive Risks, and a Director of RSG’s London-based Coverholder, RSG Europe Limited. Mark has had a 30-year career as an underwriter specializing in Professional Liability cover. Prior to joining RSG and forming StartPoint, Mark spent five years at Argo in Bermuda, where he was charged with setting up and running the Argo group-wide Professional Liability underwriting practice. While at Argo, Mark took on the additional role of CEO of ArgoGlobalSE, a Malta-domiciled European insurer. Prior to Argo, Mark held a variety of senior underwriting roles at XL Insurance, including chief underwriting officer of their Bermuda Professional Liability team, where he was the key architect in the development of XL Insurance’s suite of Side A D&O products. Mark started his insurance career as a Professional Liability broker. He spent 12 years working in the London, New York and Bermuda markets for both Aon and Marsh. His last brokerage position was as Senior Vice President of the Marsh London FinPro team. He was responsible for placing D&O, E&O, EPL and ancillary coverages for Fortune 1000 companies on a global basis. In addition, he was responsible for developing new territories and placed the first line slip in Lloyd’s that Marsh had for South Korean D&O. A British national, Mark attended St. Joseph’s College, Ipswich, Suffolk and Bishops Stortford College, Hertfordshire.